The time has finally come. The semester has ended. The last paper had been written. The last final has been submitted. I’m not sure how I feel right now. Was it the year I took off from school that made paper writing an arduous task this semester, was it the fact that I am compose 10-15 pages of research material each week for my job, or was it the knowledge that I was writing a paper for a class that wouldn’t count towards my degree requirements? Or maybe all three. Or maybe it was the fact that I am a bit too disorganized? Now that my work is completed, I can breath a bit more in my office. One final task remains: a two hour round trip trek up to the seminary to submit my paper and return this stack of books. What’s next, you ask? 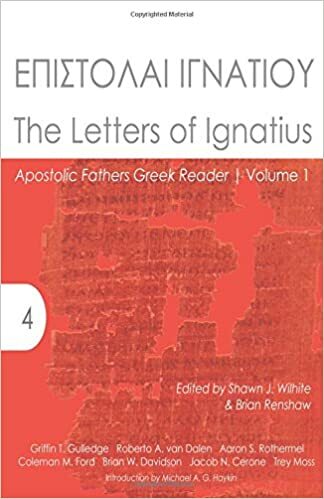 Well, while I am up at the seminary, I will be checking out books on Greek Grammar and Ezekiel. It is time to start preparing for the next semester. I have two great classes lined up: Advanced Greek Grammar and a Seminar on Ezekiel. I’m already chomping at the bit. In my free time I will be relocating my office, finishing the remodel work on the pantry, and setting up a nursery. This entry was posted in Early Church Writings, Exegesis, Greek, Hebrew, Life, NT Greek, Old Testament Studies. Bookmark the permalink.